Is Online Computer Repair a Better Option Than Local? Is Online Computer Repair a Good Option? When you're having trouble with your computer, you have two basic choices. One choice is to fix the problem yourself, which is always our recommendation. Lifewire is full of self-help troubleshooting guides. The other choice is to get someone else to fix it for you. You actually have several computer service options, including tech support if your warranty is still valid, or paying someone else to fix the problem for you. Assuming you've passed on fixing the problem yourself (see Simple Fixes for Most Computer Problems before you completely give up) and you can't get help from the manufacturer or software developer, you're left with the pay-for-service option. Your pay-to-fix options usually boil down to just two options: local computer repair and online/remote computer repair. So how do you decide? 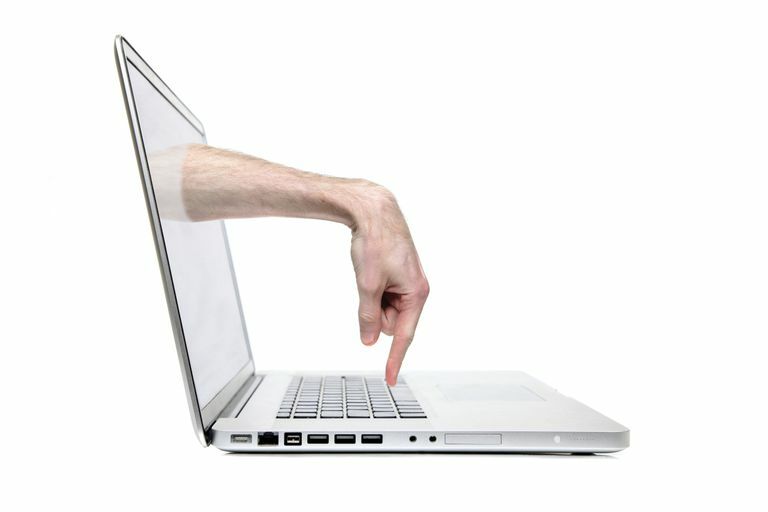 Do you take your computer to one of the many local computer repair shops to get it worked on or do you hire an online service to remotely connect to your computer and/or walk you through the solution to the problem? It's not always an easy decision but there are several questions you can ask yourself that will help make the best choice more obvious. Do You Suspect a Serious Hardware or Software Problem? If you suspect a serious hardware or software problem, an online computer repair service won't do you much good. Any kind of problem that prevents you from successfully connecting to the internet will likely prevent a remote support agent from connecting to your PC over that same internet. If you're experiencing the sorts of problems like the ones mentioned above, we highly recommend seeking service from a qualified local computer repair service instead. You could still contact an online repair service but you'll probably be sent to a local repair shop and likely incur a charge for that referral. There's no reason to waste your money getting a referral from a biased source like this. Some online computer repair services will attempt to walk you through a step-by-step resolution to a serious problem that they can't remotely fix themselves. While that's certainly a better use of your money than a simple referral, you should know that whatever troubleshooting information they provide over the phone is probably available online, completely free of charge, from a computer repair website - like the one you're on now! How Fast Do You Need Help? By a huge margin, getting PC help from an online computer repair service will be faster than from a local computer repair service. You won't have to unhook your computer and load it up in the car. You won't have to wait for a service person to visit your home or business. You won't have to work within standard business hours. These are huge advantages if you need your computer fixed fast. Online PC repair services might not be able to fix every problem under the sun, but if they can fix yours, they're often the better, and for sure the fastest, bet. If you know someone personally who is willing to help you remotely, we highly suggest looking through this list of free remote access software tools. Those programs will let someone else connect to your computer as if they were sitting in front of it. Most are quick and easy to set up - you could be getting support from a friend in no time. The huge majority of those online today are on "high-speed" internet connections but if not, you should probably think twice about getting help for your PC from an online computer repair service. It's true that the process can work on a very slow connection but it's not as reliable and will certainly extend the time, and cost, required to fix your computer remotely. You shouldn't have any problem working with a remote computer repair service team if you have a reliable, high-speed connection to the internet. If you're not sure how fast your internet connection is, you can check with one of these free internet speed test websites. Anything over 8 Mb/s should be OK for online PC repair but, obviously, faster is better. No, this isn't a technical question, but it's an important one nonetheless. Some people simply prefer to work face-to-face, something you will not be getting from an online computer repair service. If you like to see who you're paying for a service, or are used to assessing quality by "real-world" interactions, then we highly suggest visiting a local computer repair service. However, if it's just about getting the job done right and getting it done fast, you'll probably be better off choosing online computer repair service. Don't let this make you think that remote computer repair services are the lesser choice. We bring these points up simply so you can make the right decision based on the specific problem you're seeing and the kind of person you are. See How to Talk to Tech Support for a number of helpful tips to make the online computer repair process a lot easier.